(c) 2010 Frank Collins. If you wish to quote from this article please ask the author's permission. If you'd like to commission the author please email via the blog. It is common, whilst conducting an overview of the Gothic influence in Season 13, to point the finger (probably the one that's loaded) at Terry Nation’s contribution The Android Invasion and accuse it of being the odd one out. On the surface it would seem not to fit as the story took place in a contemporary depiction of England’s green and pleasant land and there were on the face of it no dark castles and no cursed tombs. Generically, with its use of English village locations and defence installations it has often been stylistically compared to The Avengers and, with its plot concerning the replacement of human beings with android doubles, borrowing generically from the1950s science fiction paranoia of Invasion Of The Body Snatchers. However, on closer scrutiny, The Android Invasion did contribute in some shape to the Gothic themes of the Holmes and Hinchcliffe era. There was the use of the typical Gothic trope of the interrogation of the hero (the Doctor subjected to the Kraal analysis machine) and the recycling of the xenophobic anxieties of 1950s science fiction films which were considered a denial of the power of the military/industrial complex to defend ourselves from invaders who looked just like us. The story also revisited a major Gothic theme: the doppelganger. This literature of duality, most potently evoked in Stevenson’s Jekyll and Hyde or Oscar Wilde’s The Picture Of Dorian Gray, was at its heart about identity or lack of identity. The androids of Sarah, Benton and Harry exemplified this slippage of identity, the fragmentation of the self. The Doctor’s duplicated companions become masked, both hiding secrets that speak of another self and haunted by their real selves. The androids also seemed to represent the angst about the over-industrialisation of society and the resulting disorientation (taking place in the story's aptly named disorientation chamber) of the self, with the story defining humanness in the context of modern technology and the threat of invasion. The loss of self, of identity in flux, is treated as grand tragedy in the figure of Guy Crayford who, on the eve of invasion, is forced to examine his own abandonment issues, to define the environment that constitutes reality for him. 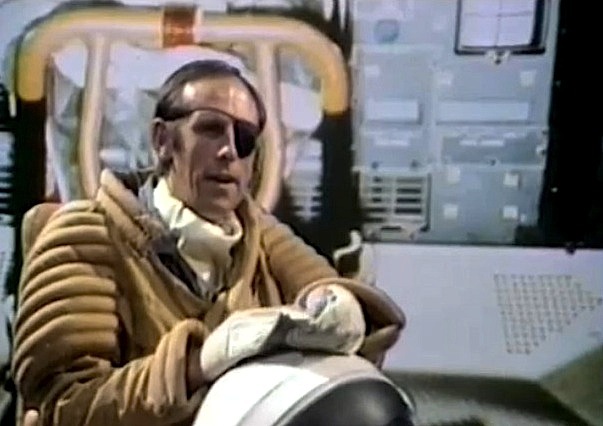 The Kraals kidnapped his ship and brainwashed him into believing he was the victim of a crash and that they had recovered his body and re-made him. Crayford had been denied his real existence and this was symbolised in the android population of the fake village. The highly Romantic notion of the doppelganger Earth became a Gothic space where people lost psychological depth, where life appeared as ‘theatrical’, as ‘death-in-life’ and where people were merely automata or walking corpses. Crayford could almost be described as Byronic in the way that, through the manipulation of the Kraals, he fights his fate with violence, in a passionate self-destruction of his own meaning, his own being, where he is a man without hope of spiritual belonging. He’s a typical Gothic hero/villain because as soon as the Doctor reveals that the Kraals have deceived him (through the admittedly ill-conceived use of the eye-patch) he turns against their plans to conquer the Earth and finds redemption in death at the hands of Styggron. The brutality of modern technology was also symbolised by the stylised metallic chambers and architecture of the Kraal base. Compare them to the fleshier counterparts of the Zygon space ship and it can be seen that the dread of the alien organic that the previous serial offered is replaced by the dehumanising, repressing Kraal interiors. It is a space in which the body, both real and unreal, is fetishistically deconstructed and reconstructed and where subjectivity is denied by the Kraal equipment. Brim full of all the Gothic tropes – a storm lashed mountain laboratory, a madman’s brain in a jar, a torch wielding community – The Brain Of Morbius was steeped in violence, disfigurement and body parts. Director Christopher Barry seemed to delight in holding lengthy shots of brains pouring onto floors, close-ups of the stitched together Morbius creature or depicting the gory violence of Solon shooting his assistant Condo. It was a delight transferred to the audience’s emotions of fear and disgust, anxiety and anticipation, their fascination and curiosity at impossible, monstrous beings or their concerns about power and control. Holmes and Hinchcliffe’s pastiche of the Frankenstein story, as related in The Brain Of Morbius, was likely their attempt to explore the notion of the ‘Gothic grotesque’ within the series. 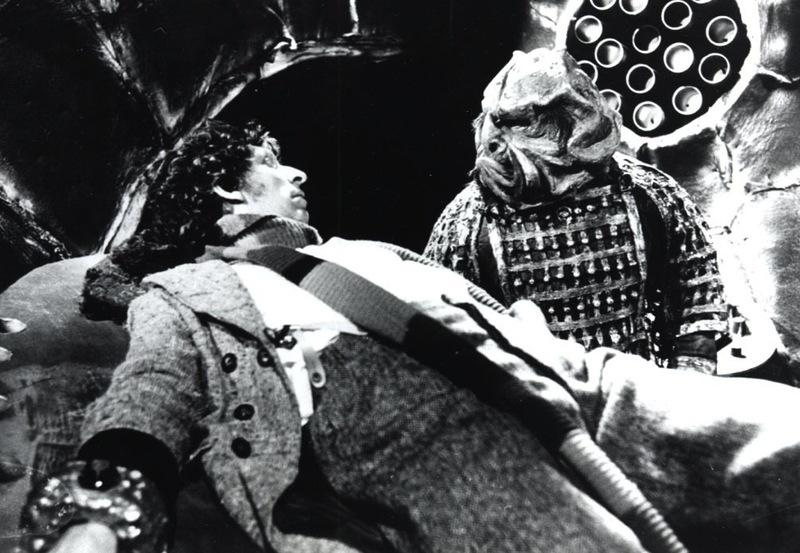 As well as being an exercise in the construction of the monstrous the serial offered a form of black comedy where a bizarre admixture of alien body parts constructed by surgeon Mehendri Solon becomes the last resting place for that most Byronic of Time Lords, Morbius. The grotesquerie of the mongrel creature, a distorted caricature of human form, provided outrageous humour as well as a disturbing picture of how the body can become implicated in a hybridised and misrepresenting construction. Morbius’s reconstitution, like the creature made by Frankenstein, suggested that bodies and identities are provisional and incomplete. Whilst we identified, as previously noted, the sexual identity of Morbius as male by the vocal performance of actor Michael Spice, and visually by the objectified clay bust of Morbius that Solon lovingly created, it is clear the body into which his brain was deposited could be either codified as androgynous or transgendered. The Gothic themes of Frankenstein, where man created monster and typically the monster was a sympathetic character, are subverted. Morbius is not a sympathetic creature and is simply the love object of the obsessed Solon in a story that exposes the fantasy of phallic omnipotence – the failure of Solon to return Morbius to greatness, the failure of Morbius to restore his masculine potency. Morbius could be seen as yet another male figure, hidden away in the bowels of a Gothic laboratory, seeking a form of re-sexualisation, an affirmation of phallic power over the universe (a bit like Sutekh), and, locked together with Solon, forming one half of a particularly ‘odd couple’. Bolted onto the subverted reading of the Frankenstein story, was a pastiche of Rider Haggard’s She. The imperialist Gothic subtext of She reflected many of the same issues about colonialism in the story as the Egyptian theme did in Pyramids Of Mars. 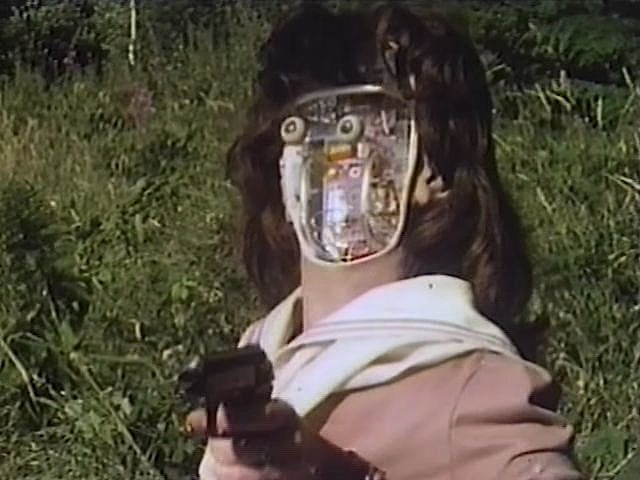 The Sisterhood Of Karn are the exotic Other who reject the subjugating demands of the Time Lords, Morbius and Solon and their patriarchal order. In doing so they condemn themselves to a ritualistic and stagnating community life. They reflected the female Gothic’s focus on women’s anxieties in dealing with both the limits of patriarchy and of their own community and, positively, the future possibilities of female empowerment. The Sisterhood, one of the few representations of women other than Sarah in the entire season, could also perhaps be positioned as what Eve Kosofsky Sedgwick refers to as ‘a medium of exchange in the homosocial system’ where they in effect cover up the potential suspicion of homosexuality between Morbius and Solon. Equally, Sarah’s temporary blindness in the story is perhaps a device of disavowal where her female gaze isn’t allowed to expose the truth of the homosocial bonds between Morbius and Solon. She doesn't see the relationship between the two men. What is striking is that the Sisterhood, taking up from Sarah's own independence, reject their insularity and stagnation in order to dispose of the Morbius creature. Despite the fact that they hold the Gothic secret of the sacred flame, the Sisterhood, described as equal in mind power to the Time Lords, continue to wreck passing ships in order to keep the secret hidden. Their deep suspicion of the Time Lords and their paranoia keeps them trapped and by the end of the serial it is only the She like sacrifice of their mother/leader and the destruction of all the other male figures on the planet, except the Doctor, that will allow them to perpetuate. The story sadly squanders an opportunity to develop this and offers no real suggestion as to what the Sisterhood will do with their emancipation from the tyranny of the male gender.